Should You Outsource IT or Hire In-House? Every business, no matter how large or small, depends on technology to get through the day. Because of our increasing reliance on technology, the demand for information technology (IT) specialists has dramatically risen over the past decade. A great IT professional can keep your business safe, online, and well-functioning. But if you’re looking to hire some experts, you have a very important decision to make. Should you outsource IT or hire in-house? Here are the unique advantages and disadvantages to both to help you make a more well-informed decision. 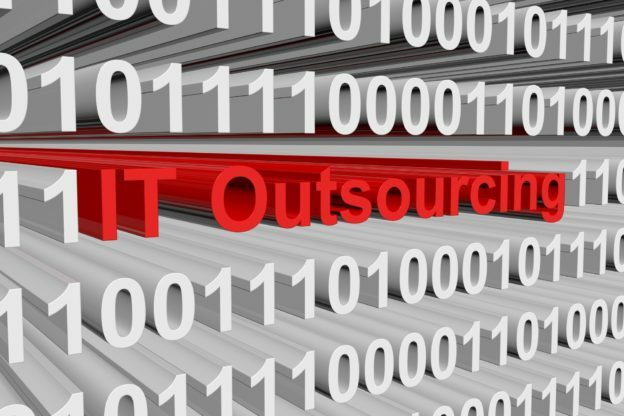 A study published by IT Outsourcing Statistics found that more businesses are beginning to rely on outsourced partners to help their business. But is it right for you? Here are a few things to keep in mind. Smaller to mid-size businesses are often better served when they outsource IT. That’s because it has the potential drastically decreases their cost of operation. Instead of hiring a new employee and paying for mandated perks and benefits, outsourcing just requires the assistance of an outside company. No need to hire or spend unnecessary money. Outsourcing IT can also free up office space. IT pros and their associated equipment can potentially take up a lot of space. Servers aren’t exactly small, after all. The additional space can be used to incorporate an employee break area or give employees more space to work. Finally, when you outsource IT, you gain access to better infrastructure. Since outsourced IT businesses work with multiple clients at a time, they have better equipment like more powerful servers. For all its advantages, outsourcing does have a few drawbacks. Namely, it can be tough to find a group of IT professionals you trust. There are thousands of IT companies around the world. How do you know you’re making the right choice? Additionally, they’re less likely to be familiar with your business’s networking operations. If you’ve customized your network and added security features, you’ll have to take the time to detail your whole networking operation. There’s also the issue of timeliness. Even if the outsourced IT company has 24/7 support, there’s often a delay when responding to your needs. Now let’s take a moment to examine the unique benefits and drawbacks associated with in-house IT departments. Above all else, an in-house IT team is fast. There’s virtually no downtime when your IT department works directly in the office. Simply make a call and they can assist you with the problem. There also isn’t a need to explain network protocol for your business. Since they likely set up your network and its firewalls, they know your network inside and out. Hiring an internal IT team can take away valuable time you need for your business. It can also be quite expensive. Remember, full-time employees, are legally entitled to certain benefits in accordance with federal law. Not only will you have to pay their salary, but you’ll need to pay for benefits as well. The pros and cons of each leave us with an important question: which is better? While the decision is ultimately up to you, outsourcing your IT needs is more affordable, takes up less space, and may produce better results. If you’re interested in obtaining IT services, reach out to us today!